A bacterial disease outbreak is threatening a collection of 3,200 coconut palms in the South Pacific. This gene bank is located in Papua New Guinea and is part of an international collection of the South Pacific’s coconut species. The warning was issued at a meeting of the pacific coconut research and development strategy in Samoa two weeks ago, convened by the Australian Center for International Agricultural Research and the Secretariat of the Pacific Community. Bolgia Coconut Syndrome is a deadly disease to coconuts, and it’s threatening the survival of the region’s gene bank. The disease appears to be caused by bacteria that are similar to the bacteria that cause Lethal Yellowing disease, which usually attacks palm trees. Papua New Guinea was selected as a site for the gene bank because the country was free of coconut pests and diseases in the 1990s. In an attempt to contain the disease, the movement of coconuts and coconut palms has been banned, which has been enforced by roadblocks. However, these restrictions are preventing the gene bank from fulfilling its intended role: the distribution of useful varieties of coconut trees in support of R&D efforts. The gene bank has 3,200 coconut palms, representing 57 varieties of Cocos nucifera, and is one of five international gene banks around the world. Researchers hope to rescue the collection by relocating some of the plants. They are also planning on duplicating the gene bank in another country. The duplication won’t be easy as some of the varieties aren’t kept anywhere else and will need to be collected from the wild again. The pathogen and its epidemiology are poorly understood. 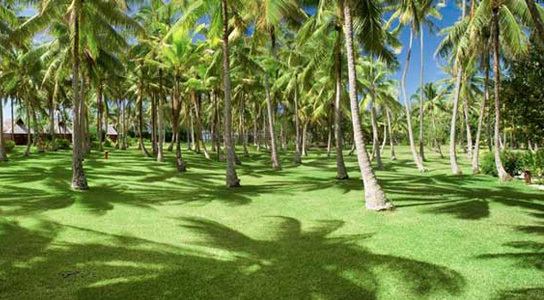 Be the first to comment on "Bacterial Disease Threatens Coconut Gene Bank"